The Snare drum is the baseline sound for the mix, yet before the arrival of rock ‘n’ roll in the late 1950s, putting a microphone near the snare was out of the question. Now miking the snare is routine and, while there’s no magic formula for capturing its sound, with a few easy rules and some simple tools, the backbeat goes on. Learn more, download this FREE report today. Mark Frink is a veteran touring sound engineer who has mixed monitors for numerous top artists, and he’s also a noted free-lance tech writer. Chris Huff is a long-time practitioner of church sound and writes at Behind The Mixer (behindthemixer.com), covering topics ranging from audio fundamentals to dealing with musicians – and everything in between. The ProSoundWeb Expert Series on Drum Microphones is presented by Audix, and features top authors from ProSoundWeb and Live Sound International. 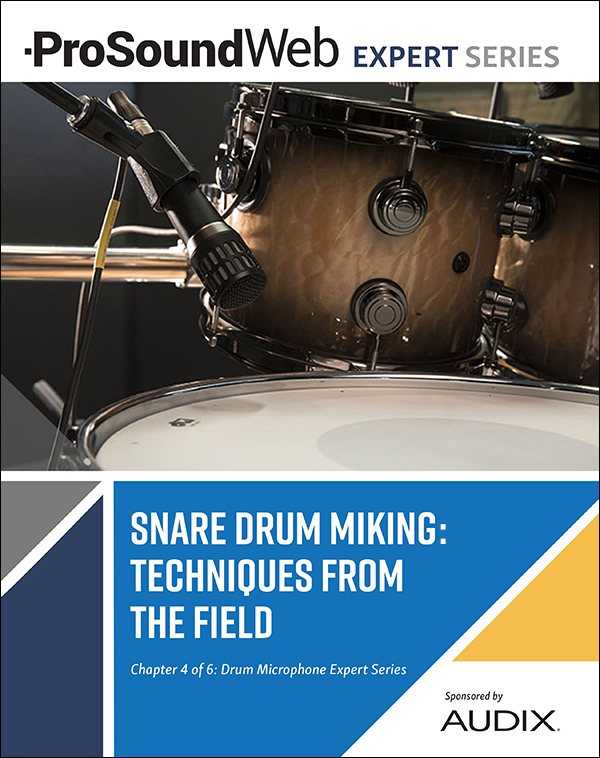 Look for additional free chapters in the coming weeks with the goal of learning more about drum microphones.